Serving Massachusetts and Florida residents since 1969, Ray Lantz, Jr. and the USA Wealth Group team are committed to helping families protect & grow their wealth by providing safe & effective strategies. For over 20 years, USA Wealth Group has been committed to helping families protect & grow their wealth by providing safe & effective strategies. We’re committed to helping our clients identify & achieve their financial goals while building a long lasting relationship with them and their loved ones. If you would like to plan for a better retirement, leave a larger legacy, maximize returns with no risk, protect against inflation, and make wiser financial choices, please call or email us today for a free consultation and analysis. There is no obligation. Let us work together towards a secure financial future. 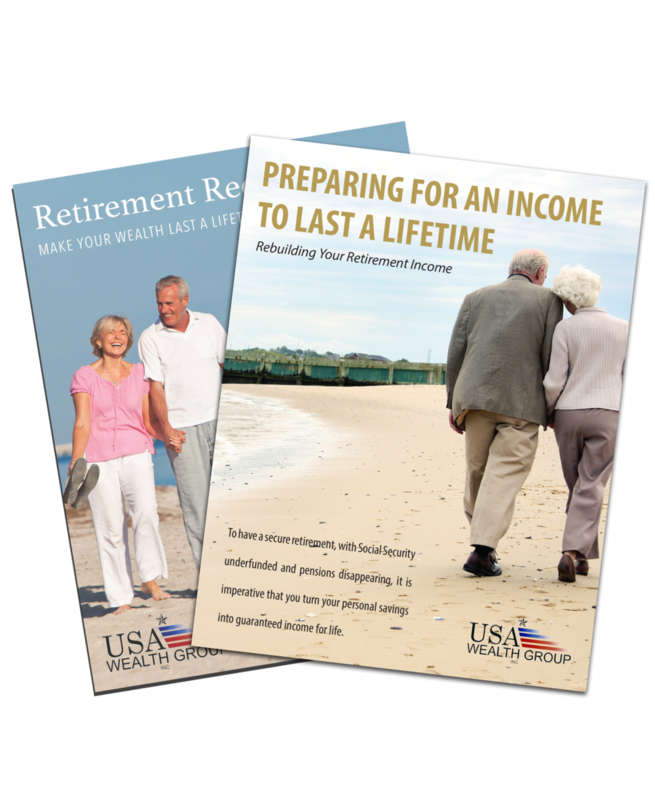 USA Wealth Group, Inc. has many categories of services available to you to assist in your planning. Here at USA Wealth Group, we are aware of life's complexities such as long-term health care, retirement planning, income taxes, estate planning, mortgages and spending to name a few. We provide high quality services that personalizes a plan for each individual based on their goals and assets and differentiates us in the marketplace. Ray Lantz, Jr. and the USA Wealth Group team are committed to helping families protect & grow their wealth by providing safe & effective strategies. Our services include Retirement Income Planning, Social Security Maximization, Life Insurance, Annuities, Long-Term Care, Reverse Mortgages, Tax Planning Strategies, 401K & IRA Rollovers/Pensions, Charitable Planning and Mortgage Planning.